Many schools are receiving alarming sounding e-mails from their school attorneys or from service providers like Site Improve providing reporting software that warns schools about compliance errors or from website companies trying to get their business. So, how do you filter through all this information and know what to react to and what to ignore as just marketing hype? Well, don’t panic or overreact to fear mongering, but do act. Take proactive steps so that over the next year, you’ll have addressed all accessibility issues and instituted ongoing processes to keep your school’s website ADA compliant year round. Run a FREE analysis: You can run free online reports to see if you have errors regarding website accessibility (and you probably do, since this will be an ongoing process). One of the best ADA website compliance checkers is WebAIM WAVE. This is an online reporting software that you can run on each page of your school’s website to determine what website accessibility compliance issues you need to investigate or resolve. You don’t need to pay lots of money at this stage for an in-depth report. These reports will show errors and alerts, and some of them you must test manually to confirm if they are an actual error or not. For example, it will show an issue with all posted PDFs, but you would have to check each PDF individually to see if it is indeed non-compliant. Determine which of the issues you discover are issues you can resolve by properly editing your website or whether there are software issues with your CMS that you can’t manually fix without getting a developer or your vendor involved. If it is the latter, contact your vendor, or if you have a developer, contact them for assistance. For the issues you can fix through your CMS, create a priority list and start correcting. Have your school create and adopt an accessibility policy. Not only will it be a requirement by the Office of Civil Rights (OCR) if it receives a complaint about your website, but it will go a long way toward helping site visitors get help from you if they need assistance with anything on your website. Let us help you get started with a couple of samples for a friendly version or a formal version. Be sure to provide site visitors a way to contact you with accessibility issues by creating either a feedback form, an e-mail contact address, or a phone number. Train your staff. This is a two-part process. If you use a CMS system, be sure anyone who is authorized to update the website knows how to make updates following accessibility guidelines. A few common examples are: adding alternative text (Alt Text) to all images and making sure all graphics with text on them have appropriate color contrast ratios, all lists apply proper HTML tags, tables are created and labeled correctly, new pages added include HTML heading elements, etc. These are just a few examples. The second part of this staff training is for everyone who might create documents posted on the website as an attachment. So, you need to be sure all those who create Word documents, Google Docs, spreadsheets, or Adobe PDFs know how to create them to be accessible. If you post videos on your website, they need to have captions. This area is one of the more challenging aspects of website accessibility, but it is essential. We do offer an inexpensive online training solution to help you. After you have run the free online accessibility reports and fixed what you can, you will need to do the same thing manually. Ideally, you should have someone do this who knows what to look for using a screen reader (a screen reader is what many who are disabled use to access your website). This manual review will tell you about possible areas that are challenging to users. Common issues are areas that don’t allow for keyboard accessibility (the user should be able to navigate all page elements using only their keyboard). Manually testing will point out navigation issues, indicate scrolling or rotating elements that users can’t control, point out repetitive navigational structures that they are unable to skip, etc. The main point is that you can do this. You seldom need to pay thousands of dollars for a report because you can usually do it yourself. You may not need a full audit unless you have received a complaint from the OCR. And if you are proactive in fixing your issues now, you aren’t likely to ever have the OCR knocking on your door. On the other hand, don’t ignore the fact that website ADA compliance is a requirement for your school website. It is the new normal, so make it part of your website management process. Then schedule regular website reviews to assure that your school website remains complaint. It is a challenge that is much easier to overcome when it becomes just the way of doing business every day. For more information, here are a few articles and resource links that might help. 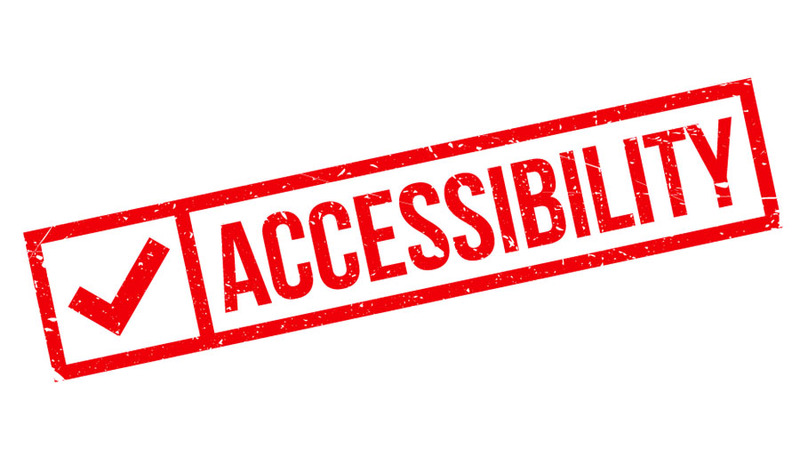 Blog: Is Your School's Website ADA Compliant?